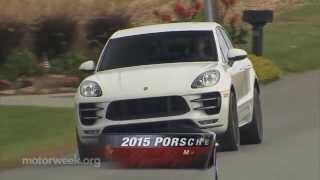 Porsche is celebrating the world premiere of the all-new 2015 Porsche Macan, most dynamic vehicle in the compact sports utility vehicle segment, at the 2013 Los Angeles Auto Show. 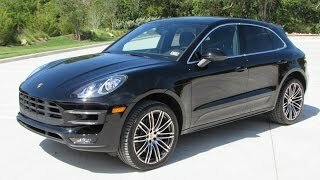 The sports car heritage of the Macan is evident in many details of its design. The designers have endeavored to ensure the model's proportions and lines live up to this heritage. The result can be summarized in two words typical of a sports car: broad and low. The design embodies sportiness, dynamism and precision, together with elegance and lightweight construction. Three models comprise the Macan product range at launch. 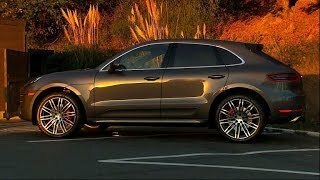 The Macan S is equipped with a 3.0-liter V6 bi-turbo engine delivering 340 bhp (250 kW). It accelerates from 0 to 62 mph in 5.4 seconds (or 5.2 seconds with the optional Sport Chrono package fitted). 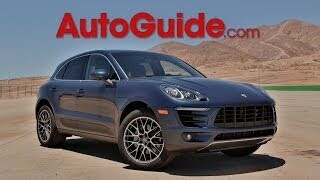 The Macan S Diesel is powered by the turbocharged 3.0-liter V6 diesel engine delivering 258 hp (190 kW). It accelerates from 0 to 62 mph in just 6.3 seconds (or 6.1 seconds with the Sport Chrono package fitted). 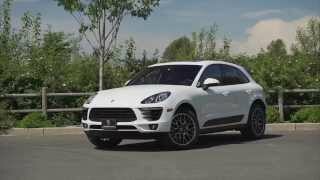 The Macan Turbo is powered by the 3.6-liter V6 bi-turbo engine which achieves an unrivaled 400 hp (294 kW) and catapults the car from 0 to 62 mph in 4.8 seconds. With the Sport Chrono package fitted, this falls to 4.6 seconds with a top speed of 165 mph. Priced from £43,300 to £59,300 it is available to order now and will be available in Porsche Centres from April 2014.